Title: 'Sicilia Vetus'. From the 1734 edition of "Description de l'Isle de Sicilie" by Agatin Apary. 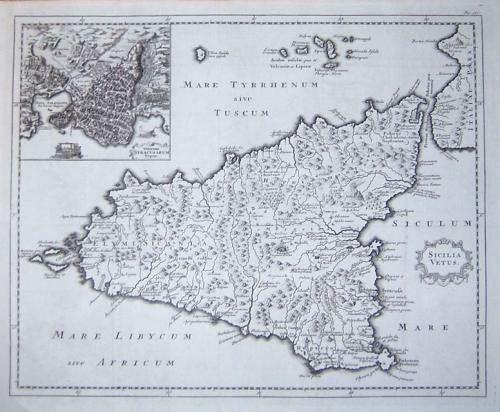 A rare and decorative map of ancient Sicily.